Styled with slim sweat short lt . This hoodie is made with Tna’s Lightweight Fleece — a slightly lighter version of the super-soft Classic Fleece. The relaxed silhouette offers an authentic streetwear vibe. So comfortable and soft. My favourite thing from TNA. This hoodie is so nice and soft, plus it's pretty warm. I got the pink colour which goes great with black jeans or leggings. 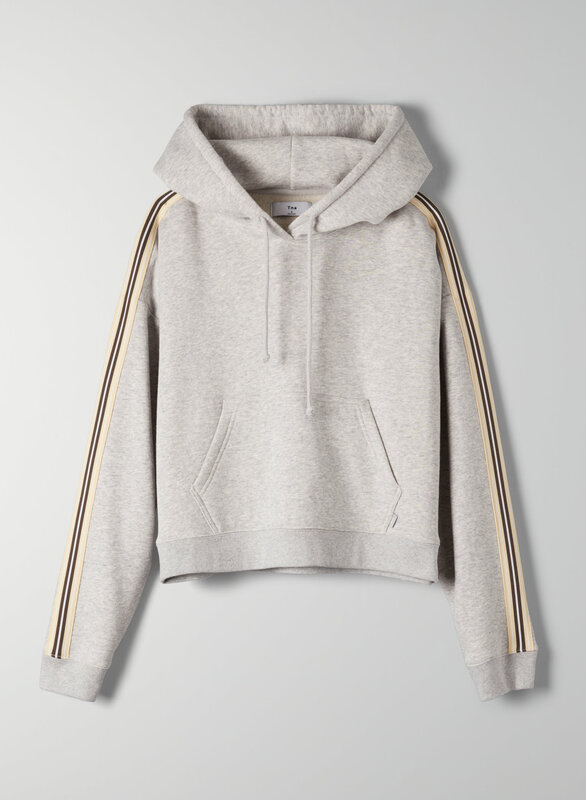 I like the stripes going down on the sleeves, but overall a really simple hoodie with no big logos or writing is what I personally like about it. Also it may be a bit pricey for just a regular hoodie, but I think it's totally worth it for the quality alone. Truthfully the comfiest thing I own. Wore it almost everyday since I received it, not gonna lie. I was surprised about the high quality of this hoodie versus the many other TNA sweatshirts/hoodies I have. It’s lightweight, warm, drapes well on the body. Great for casual wear! Slightly cropped and wears a little oversized - a feature I prefer. Great material, not too thick or thinGot this sweater in red and the colour is POPPIN. Looks great with black high waister jeans. I got a smaller size as I did not want it to look too oversized, and I am thoroughly pleased! The sweater goes down to my hips and pairs really well with leggings or jeans. I'm not typically a hoodie fan but this is so soft and I would recommend this sweater to anyone and everyone. Simple but cute. Perfect for a casual day or layering to keep you warm! 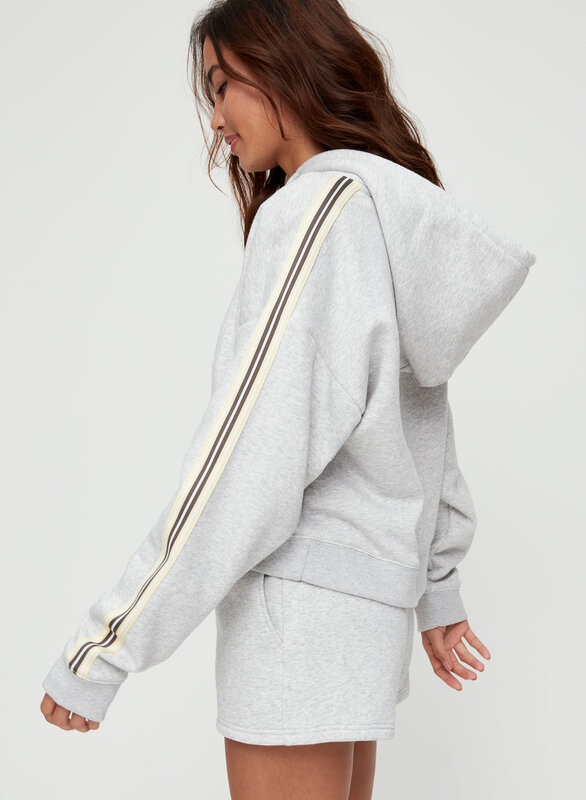 I bought the iconic hoodie and iconic sweatpants to wear together and I've been wearing them nonstop. I also got the matching leggings so I can switch things up. Love the slightly cropped length. Super comfy and warm.